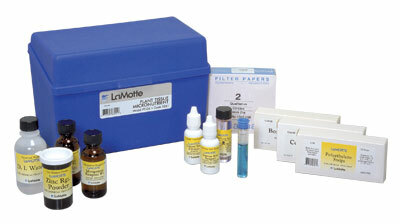 The Lamotte plant micronutrients kit performs plant tissue color spot tests for boron, copper, ferrous and ferric iron, manganese, and zinc from sap expressed from freshly cut plant tissue and collected onto filter paper. Indicates presence/absence only. 50 tests/factor.